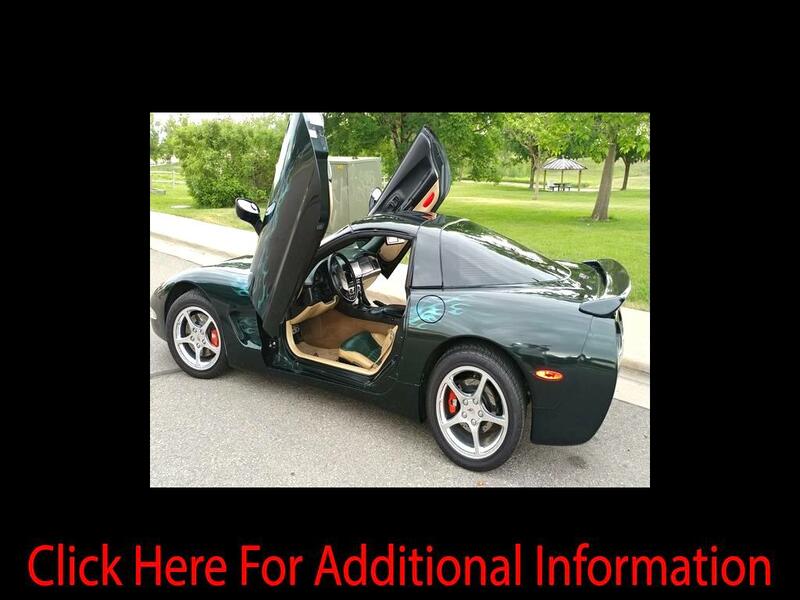 2000 Corvette Coupe-425 HP LS-1 Motor, 54,500 Miles, Lambo Doors, 4-Speed Auto Trans. Rear Spoiler, Always Garaged, Kenwood Stereo w/CD & DVD Player (TV Screens in Sun Visors) & GPS, Carbon Brake Pads, Carbon Intake & Optimum Battery, Custom Leather Seats, New Michelin Sport A/S Tires w/1,000 miles, Custom Paint Through Out the Car & Under the Hood! This is a Unique Corvette that has been extremely well maintained through the past 18 years. There’s not one like it. Over $38,000 dollars has been invested into this car. However, it’s time for a new toy so this one’s for sale. Whoever buys this car will not be disappointed!